Mother of 2 kids with no food allergies and 2 kids who are allergic to everything. Robin has always had a love for cooking and baking but when she learned about her son Fletcher's allergies and intolerances she turned it up a notch. Robin fails in the kitchen almost as much as she succeeds. Sometimes cookie batter turns into brownie batter. She makes things up as she goes and always tries to include her kids (especially Fletcher) in on the fun. Her 4th child, Ophelia is new to the allergy game (7 months old). The reason this journey began. Robin's 5 year old son. 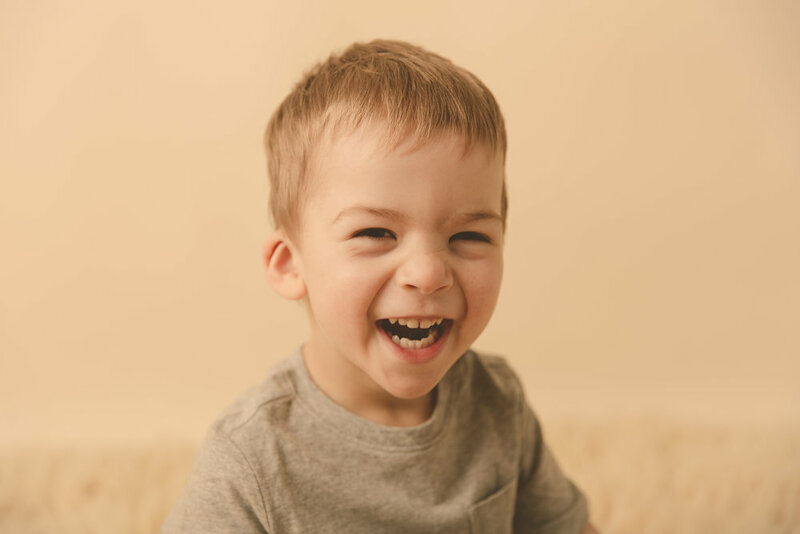 First discovered he had a milk allergy at 9 months, followed by an egg allergy at 1 year followed by tree nut allergies at 2.5 years and extreme food intolerances by age 3. Fletcher is an adapter. He's an experimentalist. He will try any cookie no matter how it looks or feels, he would eat chopped liver if you called it a cookie. He is the reviewer of all the recipes found on this blog. He is hilarious and weird and likes Teenage Mutant Ninja Turtles (Michelangelo is his fav) and Batman.